In October 2018 Flaten Art Museum initiated scientific analysis of an unattributed portrait of the violinist Eva Mudocci, believed to be by Norwegian artist Edvard Munch. During the first phase of the noninvasive examination, analysts from Scientific Analysis of Fine Art (SAFA) collected minute samples – submillimeter in size – from discrete areas of the painting. Long wave ultraviolet light and x-ray fluorescence were used to identify the paint’s molecular composition and layer structure. 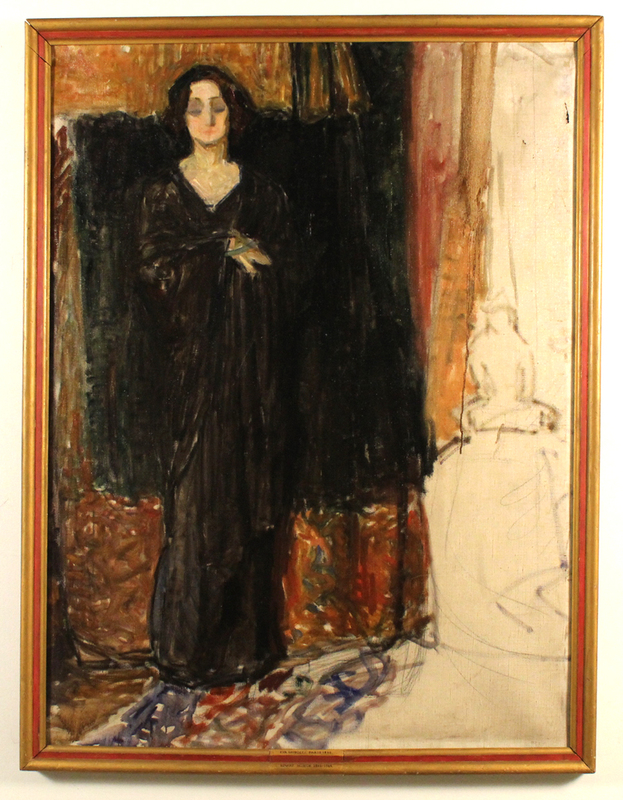 Results from the complete analysis have revealed that the painting is consistent with Munch’s working methods, materials, and the time that he spent with Eva Mudocci. To learn more, read The results are in: Scientists provide compelling clues in St. Olaf’s Munch mystery . The Wall Street Journal: Minnesota College Has a Portrait by ‘The Scream’ Painter—Or It Doesn’t. Experts Won’t Say. SAFA analysts Jennifer Mass, Ph.D. and Adam Finnefrock, Ph.D. spoke about technical art history, its applications, and the examination of this intriguing portrait in a public lecture on campus. The lecture is archived for on demand viewing. To learn more about this project, read A Munch Mystery. Star Tribune: Mystery at St. Olaf: Is this an authentic painting by ‘Scream’ artist Edvard Munch?